Christmas Cookies baked and sent out with lots of love! 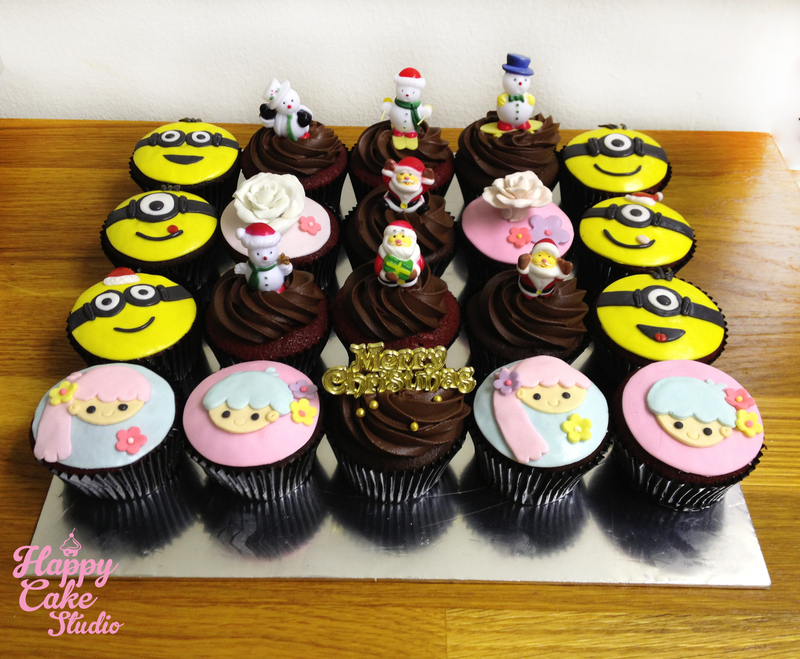 X’mas, Minion and Little Twin Stars Cupcakes! 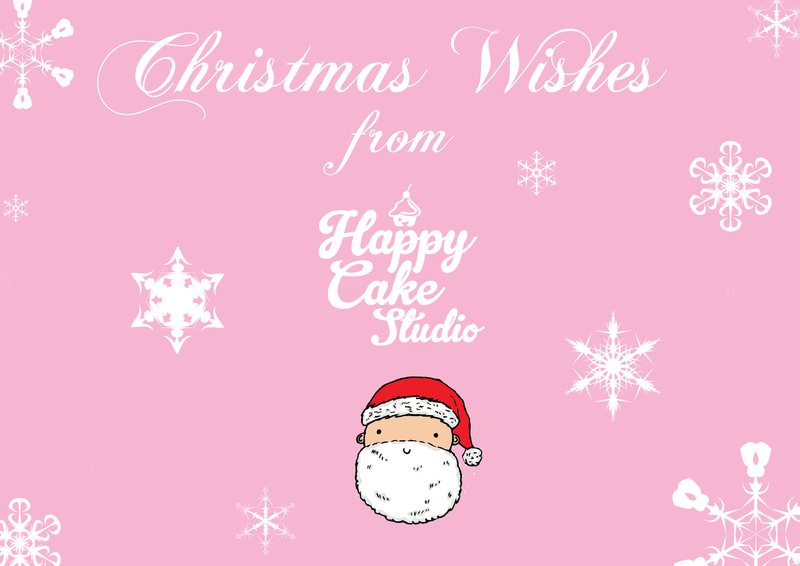 Wishing you a very Merry Christmas from Happy Cake Studio! 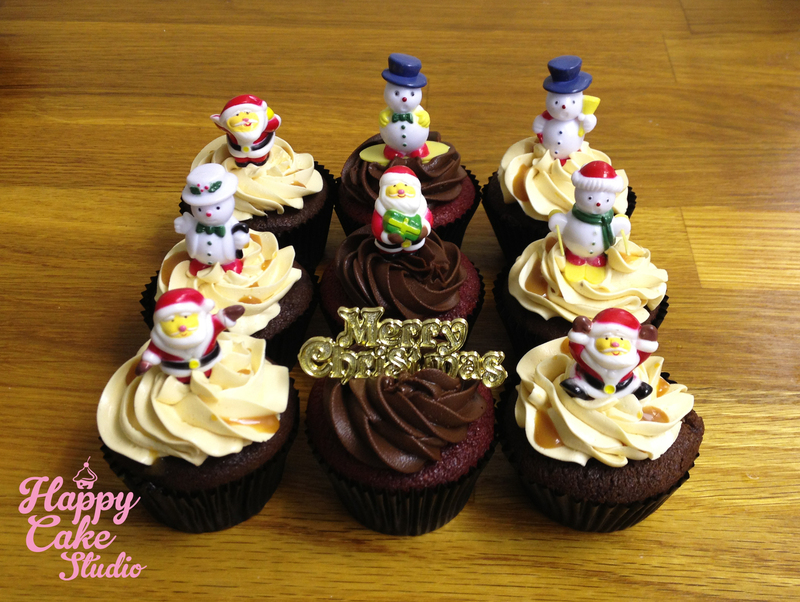 Surprise Christmas Cupcakes for Ms Florence! Categories Customized Cupcakes, Festive Cakes! 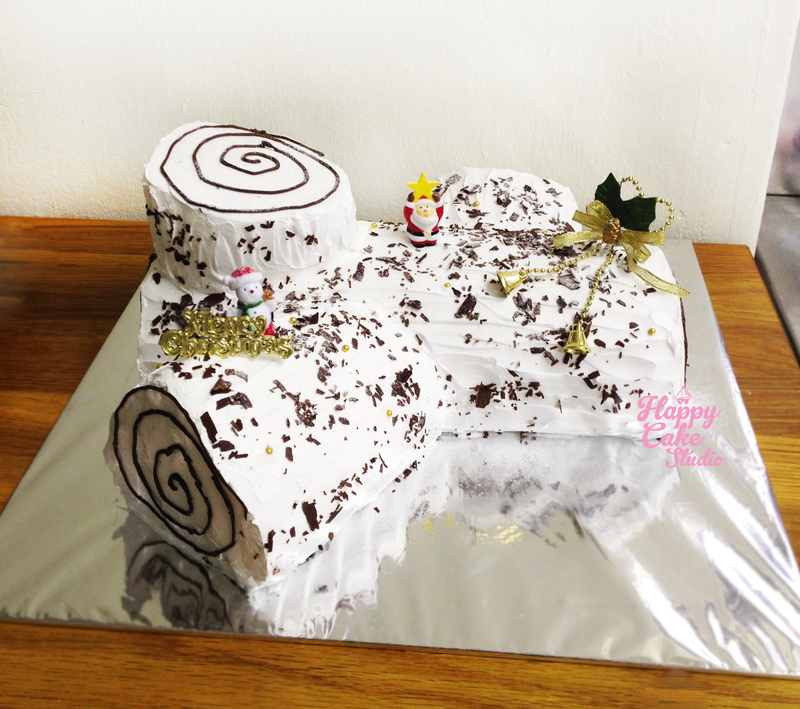 Christmas just doesn’t feel right without a log cake! 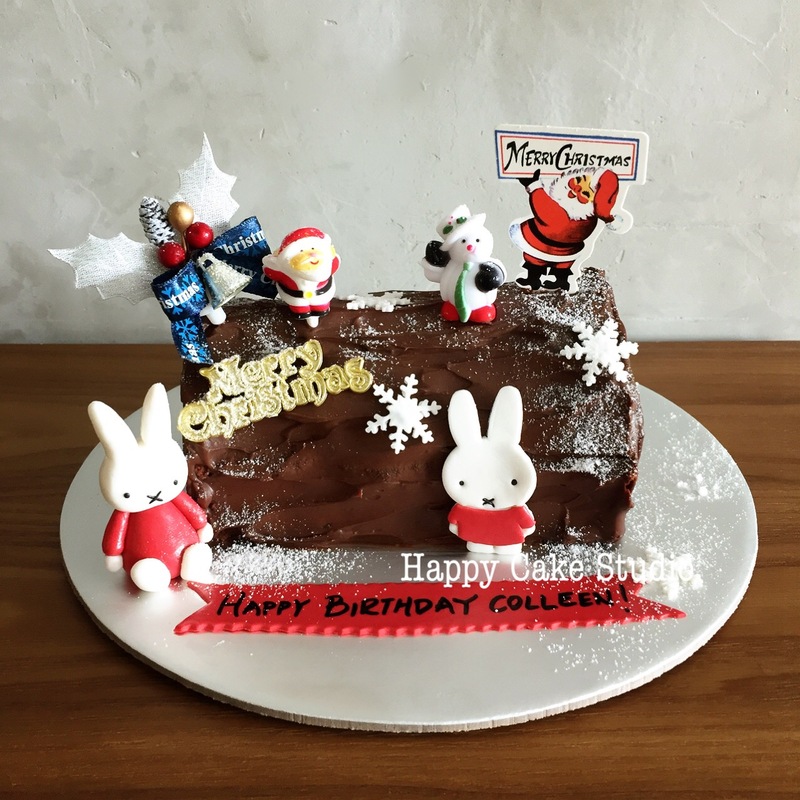 With a handcrafted fondant Santa, an Xmas tree and snowflakes! 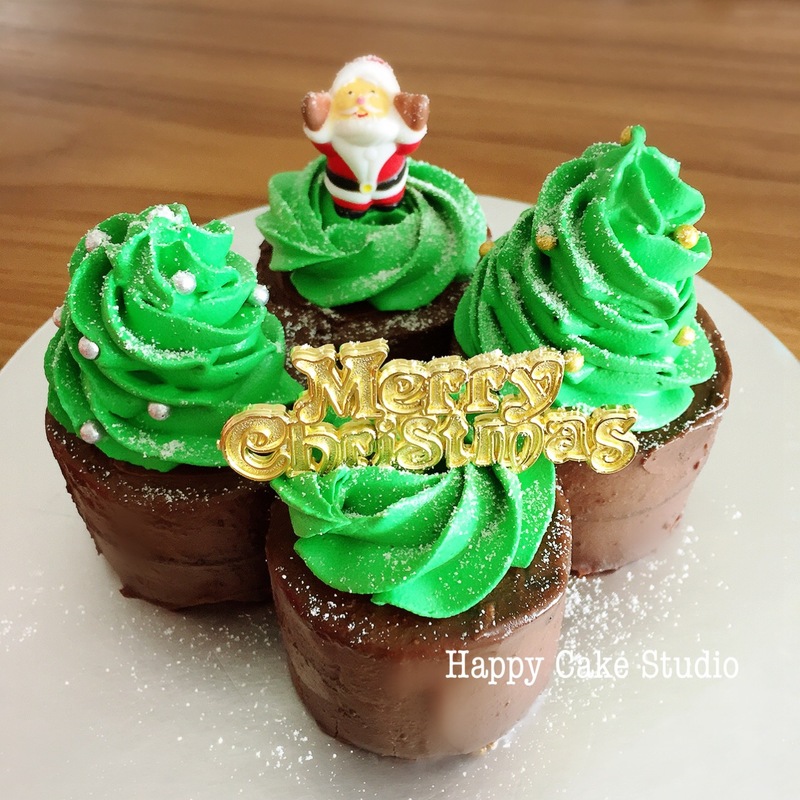 With double-coloured buttercream piped on, in christmasy shades of course! Christmas Cookies decorated with fondant and royal icing! And finally, a customized fondant cake with a rich chocolate ganache filling! It has a christmas shopping list which is customizable! Simple and meaningful as a gift! That wraps up this year’s Christmas goodies!